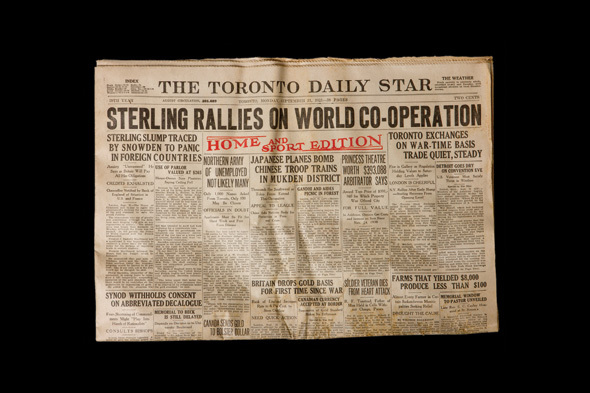 During the recent construction effort to convert Maple Leaf Gardens into a behemoth Loblaws grocery store and yet-to-open Peter Gilgan Athletic Centre, a time capsule originally buried in 1931 was discovered inside the foundation of the old lady at Church and Carlton. The contents of the small copper box, cryptically hand-engraved with the name M.B. Campbell, were unveiled to the public today in an event at Ryerson. Housed inside the box were a dozen objects, all of which were certainly historically significant and practical for a time capsule, but slightly disappointing given the excitement the initial discovery engendered. I was expecting photos, a puck, a tooth from the pre-facemask days of hockey, but sadly there was nothing of the sort. 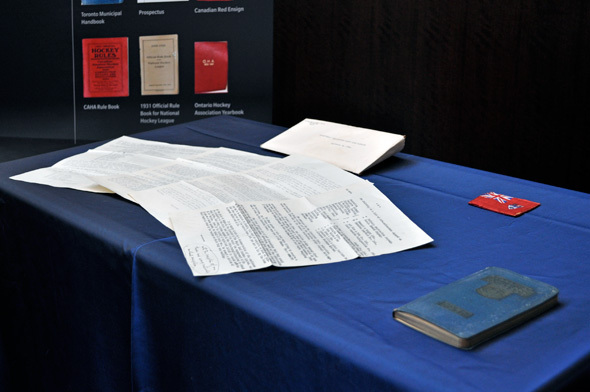 Rule books, a typed letter from the directors of Maple Leaf Gardens and an ivory elephant were among the items getting their first glimpse of light in over eighty years. The ivory elephant has left everyone baffled. There are several theories about its meaning, but nothing can ever be known for sure. A good luck charm? A white elephant is a symbol of something that's expensive to maintain and difficult to dispose of â could it have somehow been an ironic metaphor for the Gardens? 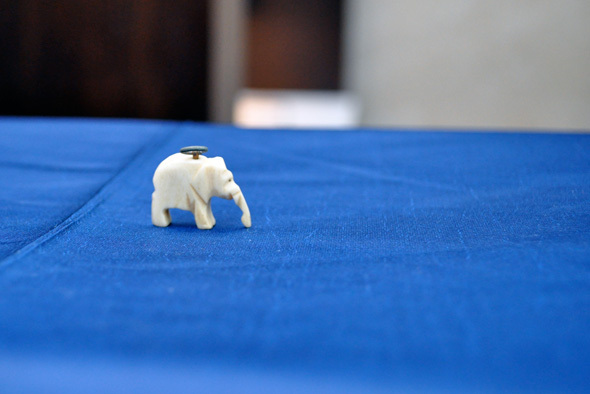 Did a passing ivory aficionado toss it in the box with no thought? Despite the initial let down, the event was a fairly interesting blast from the past. You're able to take a glimpse at the excitement surrounding the creation of what would be one of Toronto's most famous and defining structures. A new time capsule is being assembled to be buried in Ryerson Athletic Centre. What do you think should be included? A stock prospectus for Maple Leaf Gardens Ltd.